With the success of previous conferences at Spain, Beijing, Germany and Florida, we welcome you to be a part of prestigious biotechnology conference at Bangkok, Thailand. 10th Asia-Pacific Biotech Congress will take place from July 25-27, 2016 at AVANI Atrium, Bangkok, Thailand. The conference mainly covers the latest trending topics of Biotechnology. Environmental biotechnology is biotechnology that is applied to and used to study the natural environment. Environmental biotechnology could also imply that one try to harness biological process for commercial uses and exploitation. The International Society for Environmental Biotechnology defines environmental biotechnology as "the development, use and regulation of biological systems for remediation of contaminated environments (land, air, water) and for environment-friendly processes (green manufacturing technologies and sustainable development). Related Conferences: International Conference on Environmental Toxicology and Ecological Risk Assessment , August 25-26, 2016 at Sao Paulo, Brazil; International Conference on Pollution Control and Sustainable Environment , April 25-26, 2016 at Dubai, UAE; International Conference on Environmental Health and Safety during October 27-29, 2016 in Valencia, Spain; 5th International Conference on Biodiversity March 10-12, 2016 Madrid, Spain; 2nd World Congress and Expo on Recycling July 25-27, 2016 RAMADA Hotel, Berlin Alexander platz, Berlin, Germany; 6th International Conference on Future Environment and Energy (ICFEE 2016), 23-24th January 2016 in Pattaya, Thailand; 2nd International Conference on Environment and Renewable Energy (ICERE 2016) Feb 24-26, 2016 in Ho Chi Minh, Vietnam; 6th International Congress on Chemical, Biological and Environmental Sciences, May 10-12, 2016in Osaka, Japan; 4th International Conference on Environmental Sciences, August 10-11, 2016 in Dubai, UAE; 8th International Congress of Environmental Research, 27-28 July, 2016 in Luebeck, Germany. Marine Biotechnology is a relatively new field of study, having emerged in the past few years. It began in 1998 when scientists from the Scripps Institution of Oceanography and various departments of the University of California, San Diego, came together and formed the Center for Marine Biotechnology and Biomedicine. Related Conferences: International Conference and Exhibition on Marine Drugs and Natural Products , July 28-30, Melbourne, Australia; 4th International Conference on Oceanography and Marine Biology to be held during July 18-20, 2016 at Brisbane, Australia ; 4th International Conference on Aquaculture and Fisheries, September 29-October 01, 2016 at London, United Kingdom; 2nd Global Summit on Aquaculture and Fisheries during July 11-13, 2016 in Kuala Lumpur, Malaysia; International Marine Biotechnology Conference in August 29-September 2, Baltimore, USA; 18th International Conference on Marine Science and Aquaculture, May 12 - 13, 2016, Amsterdam, Netherlands; International Conference on Marine Science & Aquaculture, 23 - 24 March 2016 in Sabah, Malaysia; 8th International Conference on Marine Pollution and ecotoxicology , 20-24 June 2016 in Hong Kong, China; 2016 Ocean Sciences Meeting, 21-26 February 2016 in Louisiana, USA. Animal biotechnology is a branch of biotechnology in which molecular biology techniques are used to genetically engineer animals in order to improve their suitability for Pharmaceutical, agricultural or industrial applications. Many animals also help by serving as models of disease. If an animal gets a disease that's similar to humans, we can use that animal to test treatments. Animals are often used to help us understand how new drugs will work and whether or not they'll be safe for humans and effective in treating disease. Medical biotechnology refers to a medicinal or diagnostic product or a vaccine that consists of or has been produced in living organisms and may be manufactured via recombinant. Medical Biotechnology has a tremendous impact on meeting the needs of patients and their families as it not only encompasses medicines and diagnostics that are manufactured using a biotechnological process, but also gene and cell therapies and tissue engineered products. Today, the majority of innovative medicines, whether manufactured using biotechnology or via a chemical synthesis like a traditional small molecule medicine, as well as many diagnostic products, are made available by applying modern biotechnology in their development and manufacturing. Related Conferences: World Congress and Expo on Medical Devices, September 21-22, 2015 at Florida, USA; 4th International Conference on Translational Medicine, October 26-28, 2015 at Baltimore, USA; 4th International Conference on Medicinal Chemistry and Computer Aided Drug Designing, November 02-04, 2015, Atlanta, USA; Annual Pediatric Emergency Medicine Conference ,March 29-31, 2016 in Atlanta, USA; International Conference on Nuclear Medicine and Radiation Therapy , July 14-15, 2016,Germany; European Public Health Conference, 14 - 17 October 2015 in Milan, Italy; Medical Affairs in Russia, 24-26 November in Moscow, Russia; Digital Health World Forum, 8 December 2015in London, United Kingdom; The Future of Healthcare, Fort Lauderdale, 24–26 February 2016 in Fort Lauderdale, United States. Bioinformatics is the application of computer technology to the management of biological information. Computers are used to gather, store, analyze and integrate biological and genetic information which can then be applied to gene-based drug discovery and development. The need for Bioinformatics capabilities has been precipitated by the explosion of publicly available genomic information resulting from the Human Genome Project. The science of Bioinformatics, which is the melding of molecular biology with computer science, is essential to the use of genomic information in understanding human diseases and in the identification of new molecular targets for drug discovery. Related Conferences: 7th International Conference on Bioinformatics is going to be held at October 24-25, 2016 Chicago, USA; 4th International Conference on Medicinal Chemistry and Computer Aided Drug Designing, November 02-04, 2015, Atlanta, USA; 6th International Conference on Bioinformatics that is going to be held during March 29 - 30, 2016 at Valencia, Spain; 5th International Conference on Computational Systems Biology which is going to be held during August 22-23, 2016 at Philadelphia, USA; 12th Euro Biotechnology Congress November 7-9, 2016 Alicante, Spain; 9th International Conference on Bioinformatics and Biomedical Engineering, September 18-20, 2015 in Shanghai, China; 2015 NextGen Genomics, Biology, Bioinformatics and Technologies (NGBT) Conference, 1st - 3rd October 2015, HICC, Hyderabad, INDIA; 2nd Next Generation Sequencing & Bioinformatics Conference on October 5-7, 2015 in Berlin, Germany; NETTAB 2015 & Integrative Bioinformatics 2015, Palace Hotel, Bari, Italy, October 12-13, 2015; 9th International Symposium on Health Informatics and Bioinformatics 16 -17 Oct 2015, Mugla, Turkey. Latest biotech research in Industrial Biotechnology uses enzymes and micro-organisms to make biobased products in sectors such as chemicals, food and feed, detergents, paper and pulp, textiles and bioenergy (such as biofuels or biogas). In doing so, it uses renewable raw materials and is one of the most promising, innovative approaches towards lowering greenhouse gas emissions. The application of industrial biotechnology has been proven to make significant contributions towards mitigating the impacts of climate change in these and other sectors. In addition to environmental benefits, biotechnology can improve industry’s performance and product value and, as the technology develops and matures, white biotechnology will yield more and more viable solutions for our environment. These innovative solutions bring added benefits for both our climate, biotech market and our economy. Biotech companies and Pharmaceutical Biotechnology is an increasingly important area of science and technology, and contributes to design and delivery of new therapeutic drugs, the development of diagnostic agents for medical tests, and the beginnings of gene therapy for correcting the medical symptoms of hereditary diseases. Pharmaceutical Biotechnology is pioneering in the UK, providing a detailed insight into the technologies that allow the development and production of biopharmaceuticals that could lead to cures for most major diseases. Related Conferences: 3rd International Conference on Clinical Pharmacy, December 07-09, 2015 at Atlanta, USA; 8th International Conference and Exhibition on Pharmaceutics & Novel Drug Delivery Systems, March 07-09, 2016 at Madrid, Spain; 3rd World Congress on Pharmacology during August 08-10, 2016 in Birmingham, UK; 5th Global Pharmacists Annual Meeting” July 11-13, 2016 , in Brisbane, Australia; Pharma Middle East Expo ,October 10-12, 2016 at Dubai, UAE; FT Global Pharmaceutical and Biotechnology Conference, 16 - 17 November 2015 in London; Turkish and MENA Pharmaceutical Summit 3-4 December, 2015 at Mövenpick Hotel ,Istanbul; Pharma Market Research Conference, February 3-4, 2016 in New Jersey, USA; ASPET 2016 Experimental Biology - Sponsored by the American Society for Pharmacology and Experimental Therapeutics, April 2–6, 2016 in California, USA; 2016 Africa Pharmaceutical Summit (APS), Feb 24-26, 2016 in Kenya, Africa. Agricultural biotechnology is a collection of scientific techniques used to improve plants, animals and microorganisms. Based on an understanding of DNA sequencing, scientists have developed solutions to increase agricultural productivity. Starting from the ability to identify genes that may confer advantages on certain crops, and the ability to work with such characteristics very precisely, biotechnology enhances breeders ability to make improvements in crops and livestock. Biotechnology enables improvements that are not possible with traditional crossing of related species alone. Nano biotechnology refers to the intersection of nanotechnology and biology. Given that the subject is one that has only emerged very recently, Bio nanotechnology and Nano biotechnology serve as blanket terms for various related technologies. The most important objectives that are frequently found in Nano biology involve applying Nano tools to relevant medical/biological problems and refining these applications. Developing new tools, such as peptoid Nano-sheets, for medical and biological purposes is another primary objective in Nanotechnology. New Nano-tools are often made by refining the applications of the Nano-tools that are already being used. The imaging of native biomolecules, biological membranes, and tissues is also a major topic for the Nano-biology researchers. Other topics concerning Nano Biology include the use of cantilever array sensors and the application of Nano-photonics for manipulating molecular processes in living cells. Many biotech products, biochemical and biotech companies such as National Pituitary Agency (U.S.A), GeneTech Co. (U.S.A), Biogen (Switzerland), E. Lilly (U.S.A) are involved in the production of biotechnological products using Genetic engineering techniques. Many countries have developed collaborative networks and relationships on various aspects of biotechnology such as” International Cell Research Organization “(ICRO), “ Regional Microbiology Network for South-East Asia” (supported by Japan and UNESCO), Microbiological Resource Centers (MICRCENS, supported by UNESCO). According to a NASSCOM-KPMG study, the R & D and biotech industry will reach a turnover of 5 billion dollars by 2015 and the bioinformatics market will reach $ 3 billion. Related Conferences: International Conference on Synthetic Biology, September 28-30, 2015 Houston, USA; International Conference on Molecular Biology, October 13-15, 2016, Dubai, UAE; 12th Biotechnology Congress, San Francisco, USA during November 14-15, 2016; 12th Euro Biotechnology Congress, November 7-9, 2016 at Alicante, Spain; World congress on Human Genetics, October 31 - November 02, 2016 in Valencia, Spain; AAPS National Biotechnology Conference, May 1–3, 2016 in Boston; 2nd International Conference on Bioengineering and Biotechnology, August 19 - 20, 2016 in Budapest, Hungary; 8th Annual Conference Biotech Showcase, 11 - 13 January 2016 in San Francisco, USA; 2016 World Congress on Industrial Biotechnology, June 6-9, 2016 in San Diego, USA; 18th International Conference on Molecular Biotechnology and Bioinformatics, March 3 - 4, 2016 in Singapore. 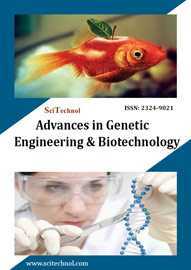 Genetic engineering is the process by which scientists modify the genome of an organism. Creation of genetically modified organisms requires recombinant DNA. Recombinant DNA is a combination of DNA from different organisms or different locations in a given genome that would not normally be found in nature. In most cases, use of recombinant DNA means that you have added an extra gene to an organism to alter a trait or add a new trait. Some uses of genetic engineering include improving the nutritional quality of food, creating pest-resistant crops, and creating infection-resistant livestock. Related Conferences: International Conference on Molecular Biology, October 13-15, 2016 at Dubai, UAE; International Conference on Biochemistry , October 13-15, 2016, Kuala Lumpur, Malaysia; International Conference on Protein Engineering, October 26-28, 2015 in Chicago, USA; International Conference on Next Generation Sequencing on July 21-22, 2016 at Berlin, Germany; 7th International Conference and Expo on Proteomics October 10-12, 2016 at Rome, Italy; 18th International Conference on Biodiversity and Agricultural Genetic Engineering, March 1 - 2, 2016, Miami, USA; 2016 Spring International Conference on Biomedical Engineering and Biotechnology, Suzhou, China, April 17-19, 2016; 8th Organic Seed Growers Conference to be held February 4 - 6, 2016 in Corvallis, Oregon; ECO-BIO 2016, 6 - 9 March 2016 Beurs World Trade Centre, Rotterdam, The Netherlands; Global Biotechnology Congress 2016 ,May 11th - 14th 2016, Boston, MA, USA. Biotechnology is a new science called intelligent bioscience which would lead to a disease free, happy and more intelligent human habitat with longevity and high human capabilities, and offers an excellent learning opportunities and get trained the students in the respective field with theoretical and practical understanding of contemporary biology and biotechnology. Biotechnology Education also provides employment opportunities in research, marketing and production in the fields like medicine and healthcare, animal husbandry, agriculture and environment industry. Biotechnology combines the molecular biology and agenetic to create improved agricultural products, food animal feed, industrial materials and medicines. 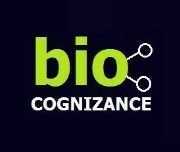 The following are the factors that are responsible for increasing career scope for biotechnologists. The recent studies have revealed that India has about 7.6% of total mammal species, 12.6% of bird species, 11% of fish and approximately 6% of the total flowering plants of the world. Biological treatment is an important and integral part of any wastewater treatment plant that treats waste water from either municipality or industry having soluble organic impurities or a mix of the two types of waste water sources. The obvious economic advantage, both in terms of capital investment and operating costs, of biological treatment over other treatment processes like chemical oxidation; thermal oxidation etc. has cemented its place in any integrated wastewater treatment plant. The biotech industry and biotech market has been able to successfully position itself to capitalise on the unfolding global biologics opportunity and biotech market analysis by attracting talent with advanced technical skill-sets. The biotechnology sector is highly innovative and is on a high growth trajectory. The sector, with its immense growth potential, will continue to play a more significant role as an innovative manufacturing hub. The sector is one of the most significant sectors in enhancing global profile as well as contributing to the growth of the economy. This sector is directly or indirectly related to the health as well as the agricultural sector. According to the new report on the global Biotechnology research by Transparency Market Research, this market is estimated to observe substantial growth during the forecast period, i.e. between 2010 and 2017. Global recession in the past five years had shadowed the biotechnology market and had shunned its growth. The biotechnology community in Asia has seen significant growth in recent years. By establishing itself in several key niche markets, the Asian biotech and pharma industries have thrived in the global biopharmaceutical market. Asia’s high standards for their life science educational systems have increased the level of growth and the quality of Asia’s workforce and broadened Asia’s reach within the world. With a dedication to innovation and research, Asia has established itself as a leader in biotechnology. Biotechnology being an emerging industry, game-changing strategies and relevant application of the knowledge-intelligence resource pool, drive the process of growth. BioAsia seeks to enhance, enrich and encourage newer innovations, path-breaking discoveries and effective solutions in the industry by offering a vibrant global platform for convergence of the key stakeholders - Biotech & Biopharma Companies, research institutions, investors, service providers, policy makers, regulators and analysts. The biotechnology industry hauled in $2.3 billion worth of venture capital investments during the second quarter of this year—a 32% increase over the prior quarter, according to the newest MoneyTree Report from PricewaterhouseCoopers (PwC) and the National Venture Capital Association (NVCA), with data from Thomson Reuters. The 126 deals struck during the period marked the biggest quarterly investment in biotech since the MoneyTree report first came out in 1995, and it brought the total for the first half to $3.8 billion. ConferenceSeries Ltd warmly invites aspirants from round the globe to 10th Asia-Pacific Biotech Congress to be held during July 25-27, 2016 at Bangkok, Thailand. Biotech Congress 2016 conference aims on discussing latest trends that explore the diverse use of Biotechnology. The conference runs on the theme ”Understand the discoveries and innovations contributed to modern biotechnology”. Bio Asia-Pacific 2016 is the best platform for Biotech, CMOs, CROs, research institutes, investors and industry stakeholders to meet, associate and discuss current industry trends and establish business partnerships. ConferenceSeries Ltd is a union of Open Access publisher and international Science conferences event organizer. 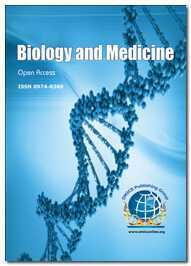 OMICS Group now has more than 700 Open Access journals with 80,000 Editorial team. ConferenceSeries Ltd also organizes 1000 International events annually across the globe, where knowledge transfer takes place through panel discussions, round table meetings, poster presentations, International workshops, International symposiums and world-class exhibitions. OMICS Group Meetings hosts presentations from eminent experts in all the relevant fields. This biotech meeting creates a platform for Policy-makers, Scientists, representatives and decision makers in biotechnology to present their latest biotech research and learn about all the important developments in biotechnology research. Presentations will include major research advances in biotechnology, business development, partnering trends, product opportunities, growth business models and strategies in the fields of Environmental Biotechnology, Marine and Ocean Biotechnology, Animal Biotechnology, Medical Biotechnology, Bio Informatics, Biotech market, Industrial Biotechnology, Pharmaceutical Biotechnology, Agricultural Biotechnology, Nano science & Nanotechnology, Biotechnology Applications, Genetic Engineering, Biosecurity, Scope of Biotechnology Education, Waste water treatment using Bio Techniques. The Global Biotechnology industry comprises a diverse range of firms engaged in the development of pharmaceuticals, pest-resistant crops and Biofuels, among other products. Revenue for the industry has grown over the past five years and global investment in biotechnology has increased consistently, with much of the added R&D spending funneled into medical applications aimed at providing care for the aging global population. The industry is expected to continue prospering over the next five years, with the Asia-Pacific region making significant investments to gain a foothold in the market. The total revenue on Biotechnology field is around $312bn and it has experienced an annual growth of 9.2% between 2010 and 2015. The foundation of Thailand’s biotechnology industry was laid in 1983 with the creation of the National Center for Genetic Engineering and Biotechnology (BIOTEC). 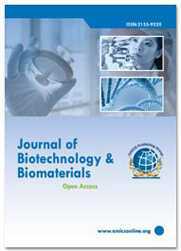 Since then, numerous public and private institutions have started conducting biotechnology research. To help facilitate the industry, the National Science and Technology Development Agency (NSTDA) provides resources to develop the critical mass of researchers necessary to achieve Thailand’s national research and development (R&D) goals for biotechnology. Under the Biotechnology Development Policy Framework 2012-2021, the Thai government is the driving force in stimulating developments in R&D and applications of biotechnology. Currently, there are approximately 200 biotechnology firms in Thailand with a total market value over US$ 2 billion. Thailand continuously supports work force development to strengthen the biotechnology sector through numerous training programs as well as financial support for students and researchers. Currently, there are 24 universities across the country with biotechnology programs educating approximately 7,000 students in the subject each year. With the National Biotechnology Policy Framework 2012-2021, the government called for the human resource development program to increase the number of bachelors, masters, and doctoral degrees in the field of modern biological science to at least 10,000 students. These statistics should persuade foreign experts in biotech to conduct research and development in Thailand and create on-the-job training to provide a skilled workforce for the private sector through cooperation among research institutes and universities. The free trade agreements (FTAs) between Thailand and various countries including India, China, Japan, Australia, New Zealand and Peru, extends international trade opportunities. Moreover, the establishment of the ASEAN Economic Community (AEC) in 2015 will expand the Thai market to more than 600 million consumers across the 10 member states of ASEAN. The AEC will open new doors to manufacturers by transforming ASEAN into a region with the free movement of goods, capital, services, investment, and workforce. With Thailand’s strategic location in the center of Southeast Asia, Thailand is a regional transportation hub. Thailand has excellent transportation infrastructure to support product distribution to nearby countries including Laos, Cambodia, Vietnam, Myanmar, Malaysia, Singapore and also southern China. Recognizing the value of biotechnology to Thailand’s future development, biotechnology is classified as a priority activity that has special importance and benefits to the country. As such, projects in biotechnology that use modern biotechnology approved by the National Science and Technology Development Agency (NSTDA) or the Thailand Centre of Excellence for Life Sciences (TCELS) are granted an eight-year corporate income tax exemption regardless of location and are not subject to the corporate income tax exemption cap. Biotechnology projects also receive an exemption of import duties on machinery, regardless of location, and are eligible for other location-based incentives In addition, projects that are located in science and technology parks receive a five-year additional 50% corporate income tax reduction for net profits after the end of corporate income tax exemption period. The BOI also offers a wide range of non-tax incentives, including permission to own land, permission to bring in foreign experts and skilled technicians to work on promoted projects, and a wide range of added-value services. For example, the BOI operates both a One-Stop Service Center for visas and work Permits, which enables investors to obtain work permits and long-term visas within three hours or less. In Thailand, most funding for research is provided by the government. With respect to biotechnology, 80% of R&D funding comes from the public sector. The Thai government hopes to increase private funding, both from local and foreign investors, to an amount equal to the contributions of the public sector. In 2001, total R&D expenditures made available to Thai universities was approximately $25M which gradually increased to $62M in 2010. By 2020, Thailand hopes to have R&D investment reach US$125M, with the creation of over 165 new biotechnology companies and an increase of over 200% in biotechnology-related patents. To do this, Thailand hopes to increase its biotechnology infrastructure, set forth clear policy on contentious issues, and create a favorable environment for private investment that would lead to the creation of biotechnology companies with listings on the Stock Exchange of Thailand. The Global Biotechnology industry comprises a diverse range of firms engaged in the development of pharmaceuticals, pest-resistant crops and Biofuels, among other products. Revenue for the industry has grown over the past five years and global investment in biotechnology has increased consistently, with much of the added R&D spending funneled into medical applications aimed at providing care for the aging global population. The industry is expected to continue prospering over the next five years, with the Asia-Pacific region making significant investments to gain a foothold in the market. The total revenue on Biotechnology field is around $312bn and it has experienced an annual growth of 9.2% between 2010 and 2015. Whereas the fields of Agriculture, Pharmaceuticals & Medicine has dominated the total share with 175 & 110 Billion respectively and with a growth rate of 4.4 & 5.4.